A stunning piece of jewelry, like this diamond ring, is a great way to display your refined sense of style. 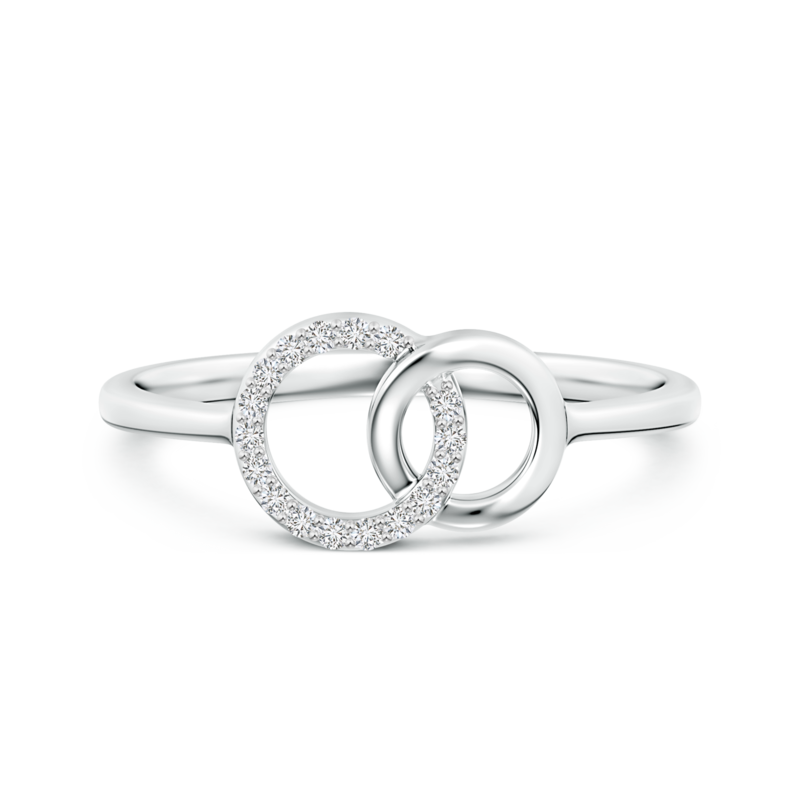 This expertly designed ring features two open circle frames that are seamlessly intertwined with one another. The smaller frame exudes the radiance of 14k white gold, while the larger circle is embellished with prong set lab grown diamonds. Together, this double interlocking circle ring displays ingenuity of design, along with the purity and brilliance of lab grown diamonds.